dbriefed: Miley Cyrus Brings the Bejeweled Turban Back! 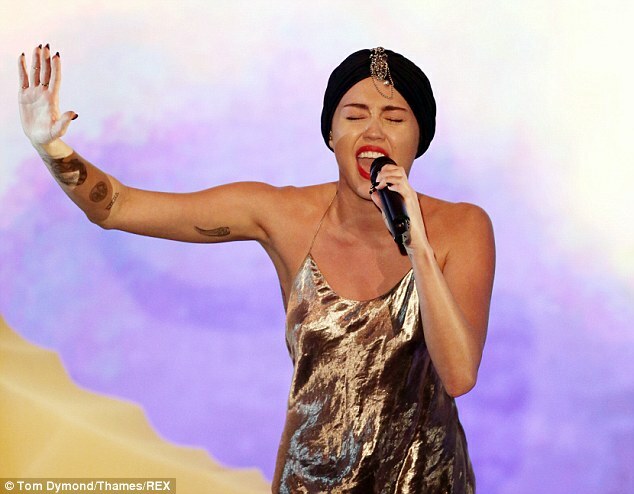 Miley Cyrus Brings the Bejeweled Turban Back! Most ladies wait till later in life or privately rock a turbie twist at home, but once again Miley Cyrus feels the spirit and aims to please with such fashion forward looks. She can now join the ranks of proud bejeweled turban wearers like Aretha Franklin, Angela Lansbury, Ertha Kitt and Endora from Bewitched.